Sky has unveiled a move to "significantly" reduce the volume of gambling ads on TV by only allowing one to feature in any given commercial break, including during live football on Sky Sports. The change, which is is aimed at protecting people vulnerable to problem gambling, will come into effect at the start of the next Premier League season in August 2019. The new limit will cover sports bookmakers, online casino and poker advertising and will apply at all times – including the middle of the night, when people with mental health problems can be especially vulnerable, according to research from the Money and Mental Health Policy Institute. Sky also said it was developing its AdSmart technology to enable viewers to block gambling ads when watching on both Sky and Virgin Media TV platforms. 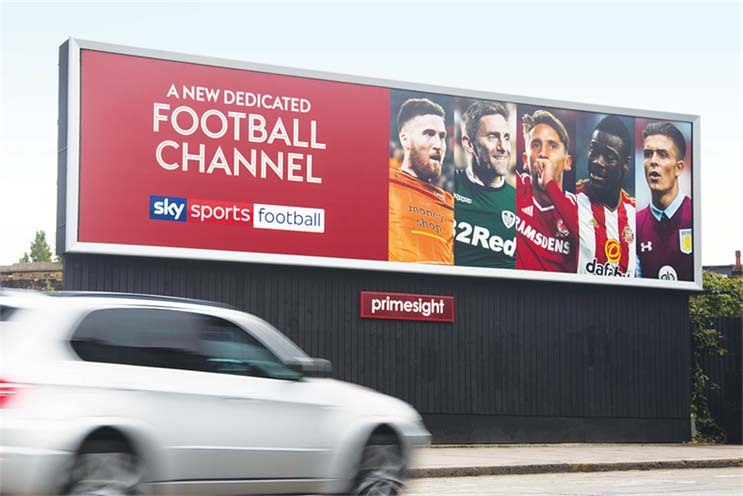 This function will become available in June 2020 across 140 channels where Sky controls advertising, including Sky Sports. Sky UK’s chief executive, Stephen van Rooyen, said the broadcaster "understood the concerns" of customers who were worried about the prevalence of gambling ads on TV – but argued the internet was a greater cause for concern. "Thanks to regulation, TV has long been a safe space, and these changes will make it even safer," he said. "But there is still a real danger online – and there will be until online platforms are regulated as tightly as TV." The move was hailed by Helen Undy, director of the Money and Mental Health Policy Institute, who said: "If you’re struggling with mental health problems, it can be very hard to manage your spending on gambling, and our supporters tell us that advertising plays a big part in compounding those difficulties. "This is a really welcome step from Sky to empower customers who struggle with gambling by enabling them to opt out of gambling ads, and will no doubt be popular among other people too. It adds to the momentum across industries to tackle problem gambling." The announcement comes after Richard Flint, chief executive of Sky Betting and Gaming, argued in The Telegraph against greater restrictions on how gambling brands can advertise – instead saying companies had an obligation to take proactive measures to fight problem gambling. The following month, however, Kenny Alexander, chief executive of Ladbrokes and Coral owner GVC, came out in support of a pre-watershed ban on gambling ads. Labour's deputy leader, Tom Watson, has said the party will ban gambling ads during live sport, except horse-racing, if it gets into power.